As Albertans, many of us have entertained the idea of moving to B.C. at some point in our lives. Usually when it’s minus 35 degrees outside. Apparently the rest of the country has those thoughts too, because in 1990 David Wood closed his Toronto food shop, packed up his family and did just that. “My parents wanted a friendly, slower pace,” says son Daniel Wood. 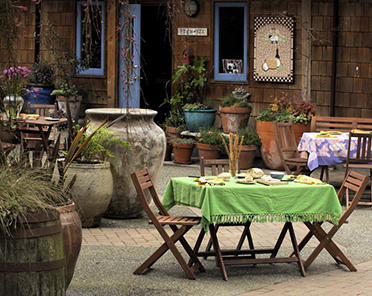 So they settled on Salt Spring Island, a beautiful artsy island set between mainland British Columbia and Vancouver Island. Growing up on a farm near a gorgeous freshwater lake, Daniel and his siblings had a fortunate childhood, although he recounts with dismay having to milk sheep in the morning before school. But his father needed the milk for his cheese making hobby, which by 1996 had officially grown into the Salt Spring Island Cheese Company. Handmade and hand packaged, the cheese was very popular among locals, especially the fresh, soft chèvres. Finally in 2004 the facility got federally licenced, and the rest of the country could rejoice in Salt Spring’s artisan cheeses. Although the business expanded, it’s still a small, family-run company, says Daniel. He and his brother Josh both left the island to see what else was out there, but gravitated back to the family business. And with picturesque seaside villages, fabulous hiking trails and magnificent cheese, who could stay away? The natural beauty of the island inspired the family to create their newest cheese, Ruckles, named after nearby Ruckle Provincial Park. 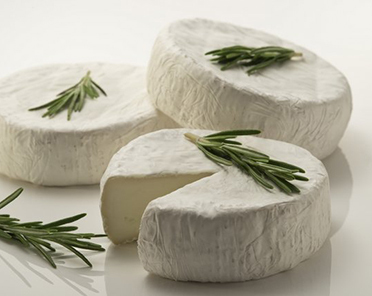 Firmer than other chèvres, Ruckles are tiny fingers of fresh goat cheese, marinated in grape seed oil and flavoured with garlic, rosemary and thyme. 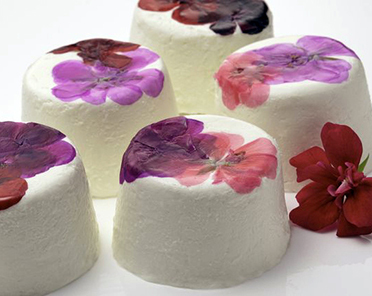 Like their other immaculately designed cheeses, Salt Spring Island Cheese Company’s Ruckles are as unique and satisfying to the eye as they are to the palate. “We want to make really good looking, good tasting cheese,” says Daniel.